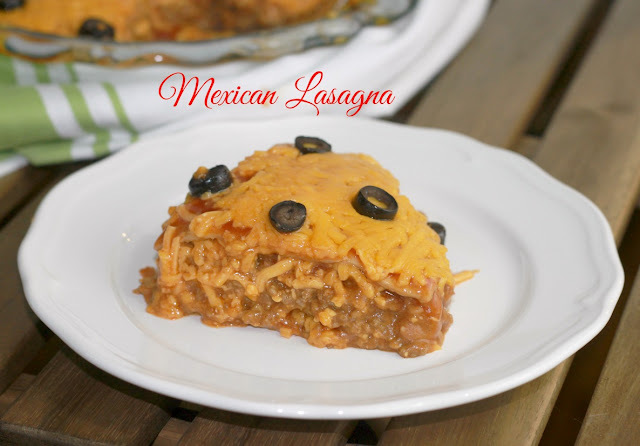 If you like burritos you will Love this Mexican Lasagna. When Bill and I were eating this we were thinking of other ingredients that could have been added..... jalapeno peppers, Mexican rice, salsa or if you like tomatoes. We garnished ours with sour cream and Bill would have liked to add shredded lettuce to the top of his too. Brown hamburger in a skillet and drain. Add the taco seasoning and 2/3 cup water to the skillet with the hamburger, continue cooking until the taco seasoning has thickened. Add the refried beans to the skillet and mix together. Spray a 9 inch pie plate with cooking spray. Place 1 tortilla in the bottom of the pie plate. Spread half of the meat bean mixture on top of tortilla. Sprinkle with 1/3 of the shredded cheese and pour some taco sauce on top. Place a second tortilla on and spread the remaining meat mixture, 1/3 of shredded cheese and taco sauce. Place the third tortilla on and pour enchilada sauce over the top of the lasagna. Place in a 350 degree oven and bake for 25 minutes. 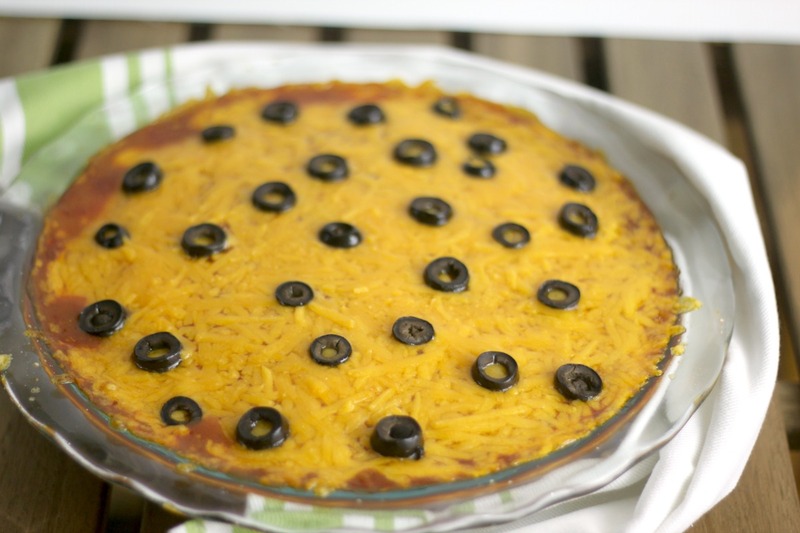 Take out of oven and sprinkle with the remaining 1/3 shredded cheese and olive slices. Place back in the oven until the top layer of cheese is melted (5 to 10 minutes). Garnish with shredded lettuce and sour cream.